Larry Lee Watson, age 68, died Monday, November 21, 2016. He was born November 22, 1947 in Greenfield, OK to Robert H. and Lucille (Walker) Watson. He was a 1966 graduate of Greenfield high school and then attended Okmulgee Tech. 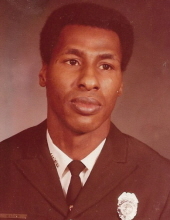 In 1967 Larry was drafted into the United States Army and served during Vietnam. After the military, he graduated with a degree in diesel mechanics. While living in Oklahoma City he joined the Fire Department where he served for 27 years, retiring in 1997, before retiring in 1997. Larry moved his family to Piedmont in 1980 where he lived until his death. He loved antique tractors and cars. Larry was preceded in death by his parents. He is survived by his wife of 49 years, Annabell, son Timothy and wife Shelly, two daughters; Jennifer Watson and Nancy Watson-Ellis, three grandchildren; Brittany, Morgan and Jada, as well as brothers; Norman, Earnest, William, Phil and Gary, and sisters; Vera, Katherine, Barbara, Delma, June and Diane. Services will be 10:00am Saturday, November 26, 2016 at the Piedmont First United Methodist Church, Piedmont, OK with burial to follow in the Kansas Cemetery, Piedmont, Oklahoma. To send flowers or a remembrance gift to the family of Larry Lee Watson, please visit our Tribute Store. "Email Address" would like to share the life celebration of Larry Lee Watson. Click on the "link" to go to share a favorite memory or leave a condolence message for the family.